FEED and R-Magic to name a few. The home of high quality rotary engine care at competitive prices. Here at Essex Rotary we believe in quality service and honest open advice. We are rotary enthusiasts with a passion for taking care of your car and bringing out the best in its performance. Essex Rotary take great joy in returning your car to you in an improved condition. Be it new bulbs or a body kit your car will be treated with the same care and attention to detail whatever the work you need doing. Aston continues to provide exceptional value and service at Essex Rotary. This is not limited to the delivery of his solid mechanical skills but extends to the advice that he provides in relation to where your specific car is in its life, and what you have planned for it in the future. Huge thanks to Aston at Essex Rotary for installing R-Spec oil and water temp gauges into a RX8 "air vent mounted" pod. I bought the pod some while back via an RX8OC group buy but never got around to installing it myself. He did a superbly neat job in splicing into the car's wiring and hiding all the cabling out of sight, even connecting in a spare power socket outlet under the dash for any future installs. Really pleased with how the gauges look and operate. Thumbs up to Aston for advising on the gauges to buy and for doing a great installation. With servicing available from as little as £60.00 including parts, labor and VAT, there is no excuse not to get your Rotary sports car taken care of by Essex Rotary. Whatever you need, here at Essex Rotary we have it covered, From an oil change all to a full service or general vehicle inspection. contact us with details of your vehicle and we will be happy to tailor a service unique to your cars specific needs, and taking your budget in to consideration. With Access to high quality parts from many leading rotary parts suppliers from around the world, we are fortunate to be able to source and supply all the parts you will require for your vehicle service at very competitive prices. Finally no more need to worry about getting the right in time for your vehicles service. With drop off and collection times outside normal business hours available by prior arrangement there is now no longer a need to book a precious day off work just to get your pride and joy cared for. Are you having any of the problems with your car listed below? If you have answered yes to any of the questions above then a Hot Compression Test is the first step your going to want to take. This test is not the absolute answer to engine health but it is one of the most important tests to have done. It can only be done with a Rotary Engine Compression Tester and should always be carried out with the engine hot, a cold test will yield positive results, even on many failed engines. With an in depth understanding of what makes your RX tick, Essex Rotary are the premier place to bring your car for repair no matter how big or small, From a new bulb to a clutch change. As well as the services already mentioned on this page, we can offer services such as. If there is anything you are looking to have done on your RX then if we cant do it we usually know who can. So do not hesitate to contact us to find out more. There are many areas when it comes to tuning your rotary to to get the best performance available. Essex Rotary are happy to advise of the best way to achieve your personal goals for your car, be to fast road, track driving, show car etc. Induction is all about getting air in to your engine, there there are many induction kits on the market Essex Rotary would only really recommend a select few. Many are badly designed and can sap power from your engine instead of doing what they should. Once you made your power through the engine then its tome to get those gasses out as efficiently as possible, here is where the exhaust comes it. You may on the other hand just want to make your car sound a little sportier. While the range of exhaust parts are broad you only really have a few options for what to change. Handling and suspension upgrades are the key to getting around corners quicker. You may want to drop the car on lowering springs for looks, add coilovers and/or anti roll bars (ARB for short) for the track/fast road. Cooling your rotary is one of the most important upgrades you can carry out, it may not produce any more power but a cool engine is a happy one. This becomes even more important if you start looking for more power especially in the form of forced induction (turbocharging etc.) while we will not list forced induction cooling mods in this list we will look to cover most of the basic options. You may be making some nice power but if you cant get it to the rear wheels then whats the point. Your going to want to be looking at drivetrain upgrades if your in the above category or even just if your clutch has gone. 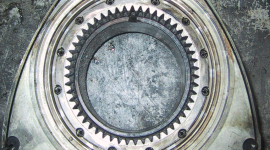 A dead clutch can be the perfect time to look at adding a lightweight flywheel. There are a range of upgrades available for your braking system, ranging from a simple brake pad change all the way up to a full big brake kit. Some options are listed below. If your interested in any of the upgrades listed here or even if there is something we have not mentioned, Please give us a call using the number on our contact page and we will be happy to talk you through your options. For More Information on these products please check out our online store by clicking the link to the left. So you have problems with your rotary? You can hear loud knocking? Your probably pulling your hair out dreading the bill? 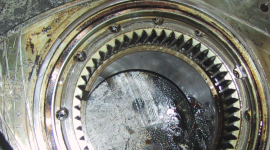 Essex Rotary can offer full rotary engine rebuilds at a very competitive price point. while we may not be the cheapest around the little extra goes to ensure you will have many years of trouble free motoring. Our Prices start from £2200 with a full 12 months Warranty and increase depending on how far you want to go. With all our rebuilds Essex Rotary are pleased to offer a range of optional upgrades some that can only be carried out at the time of your engine rebuild. Some Items to consider during your rebuild, as we would be taking your engine down to its component parts its a good time to get some reduced or free (in many cases) labor to have things fitted such as. Please Ask us for more information on anything you may want to add. 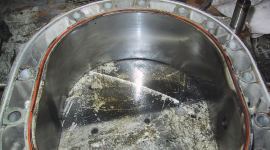 If your engine has failed causing internal damage then we offer a capped rebuild price of £2500, this includes the replacement of damaged engine hardware. Unlike many ohter shops that will offer a cheap price but charge you for each and every part that requires replacing often raising the cost well above what you where expecting. Additionally we can also offer performance upgrades that can only be done at the time of the rebuild these include Oil system Upgrades, Goopy Performance "unbrakable" apex seals, plus more. All Seals and Bearings wether out of tolerance of not when inspected. Any engine hardware that requires replacement such as rotors, rotor housings irons ect. All new fluids used for initial installation*. * This does not include fuel. All our rebuilds come with a standard 12 months warranty. with the option to extend your warranty for a longer period. For more information about prices or to speak to us about your options please contact us and we will be glad to help. We refuse to cut corners on rebuilds, while many garages are offering rock bottom rebuilds for an unbelievable price we feel that the only way to rebuild your engine it properly. After all the last thing you want to be doing is paying for the engine to be removed again and rebuilt because parts that where reused at the time have now failed. It really is a false Economy. However with all this ion mind the first thing to get done is confirm that it is a rebuild that is needed, In many cases its pretty obvious, but there are lots of RX-8's that we see where their owner suspects it needs a rebuild when in actual fact its faulty or worn ignition components or a dead starter motor at the root of the problem. If you suspect this could be the case for your car then drop us a line and book a clot for a compression test, its not a lot of money and will usually give you a definitive answer. 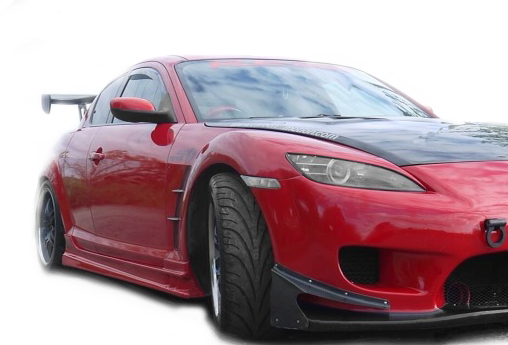 Essex Rotary are able to offer both Genuine Mazda Parts and Aftermarket Parts from many well known tuning parts manufacturers*, Such as those featured to the right. With long term connections to some of the worlds leading parts parts suppliers Essex Rotary are the perfect place to get both your servicing and Modifications carried out. Many larger parts come to us on a next day service** and smaller more regularly used items we either have in stock or can get in same day. Please contact us for any information or availability of items you may require. **next day service is subject to stock availability. 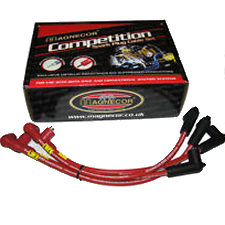 The original coil packs fitted the the car have a maximum service life of 30'000 miles. 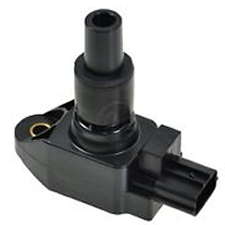 Essex Rotary (and many other specialists for that matter) highly recommend owners to renew their ignition coils at this recommended interval. Failure to do so can have the knock on effect of damaging your catalytic converter at the very least. 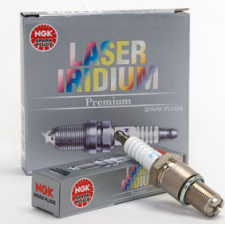 For More information on keeping your ignition components up to scratch please contact us. Including sway bars (ARB's), strut braces and catch cans. ECU's now available for both RX-8 and RX-7's at competitive prices. Cooling solutions including aluminium radiators and rad caps, radiator fan shrouds, low temp thermostats, weighted gear knobs and more. Check out our store for more details of the above and more.